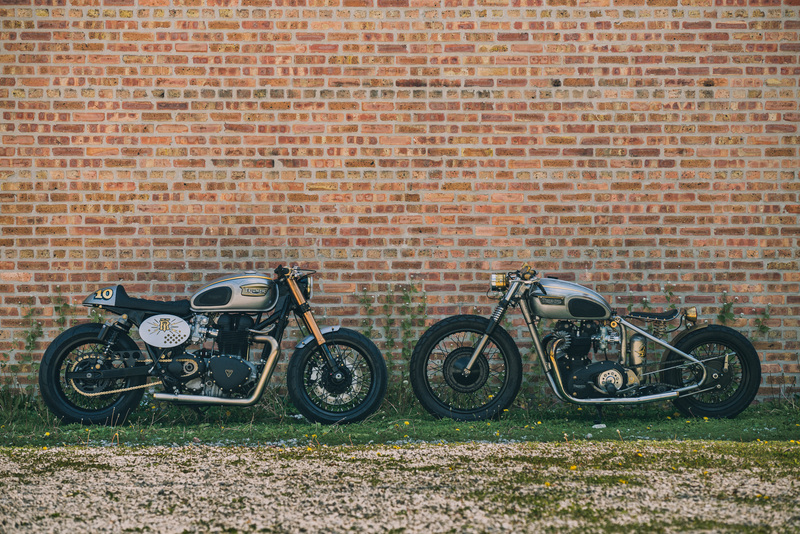 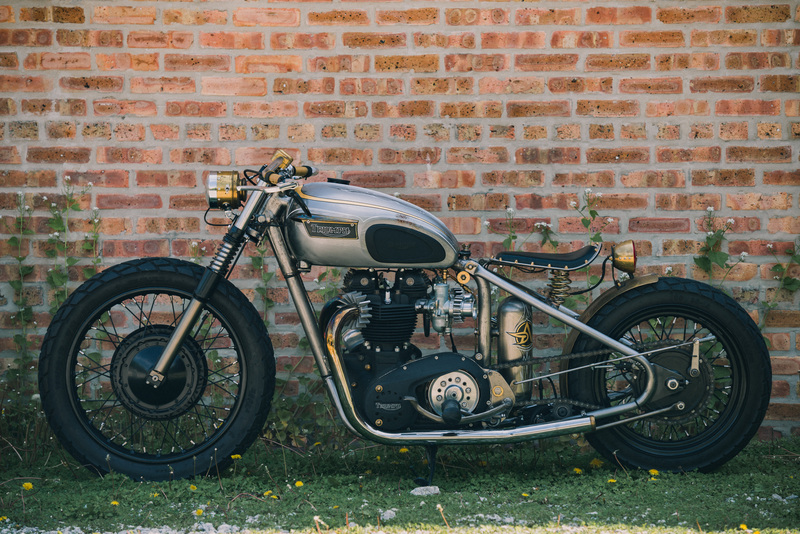 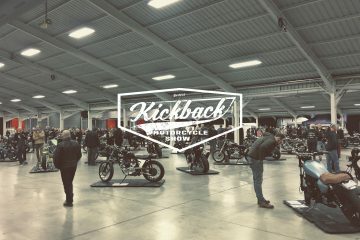 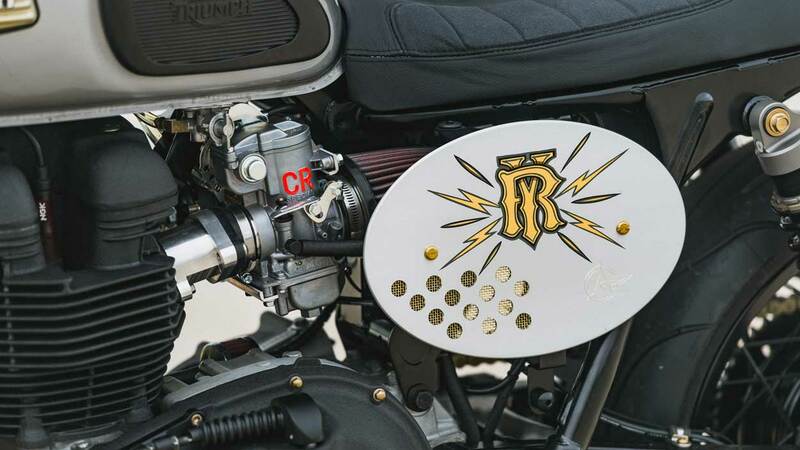 When Kentucky based Rebel Yell Bourbon needed a motorcycle for their “Rebels Uncaged” promotion, they contacted Tony Prust at Analog Motorcycles. 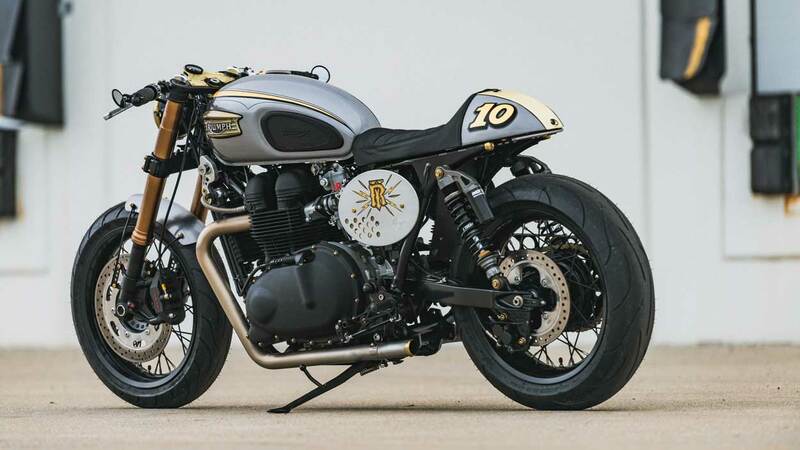 The result is the El Matador 2, based on an earlier Triumph build, the ‘El Matador’, which is a very pretty 1972 650cc Bonneville Bobber, finished in brass and clear coated metal. 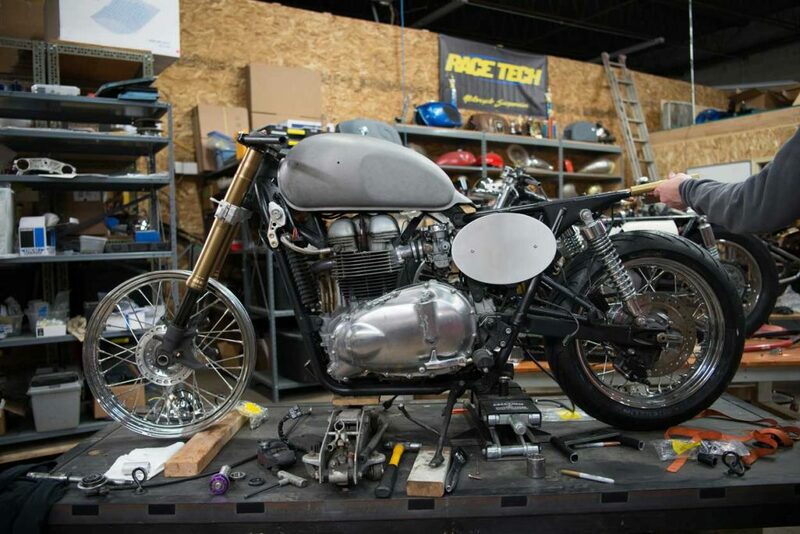 Not wanting to build a carbon copy of the El Matador, Tony decided to rework it Cafe Racer style, and using the more up to date Hinckley Twin. 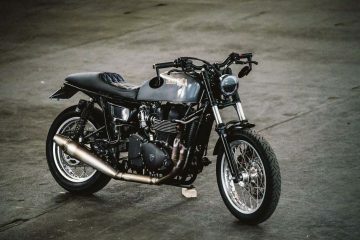 A well kept 2005 carb model Bonneville, already sporting a few of the usual aftermarket accessories was found as the donor bike, though these were mostly ditched in the strip-down. 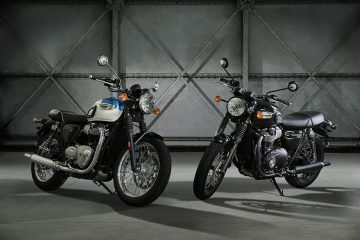 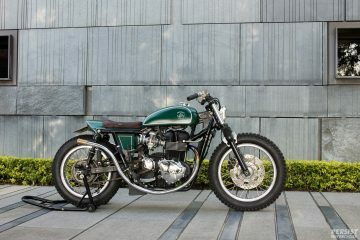 The frame on the Hinckley Twin was chopped four inches, though on this occasion not looped – a far easier method of shortening the Bonneville. 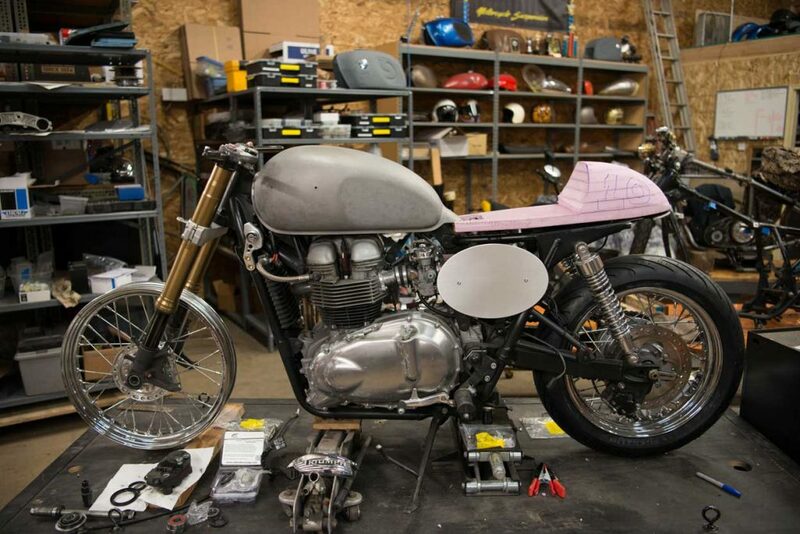 Done so, as Tony wanted to use a modified A3T, Analog Motorcycles own tail tidy unit, incorporating a LED tail light, a unit which is designed to fit the stock Hinckley Triumph frame. 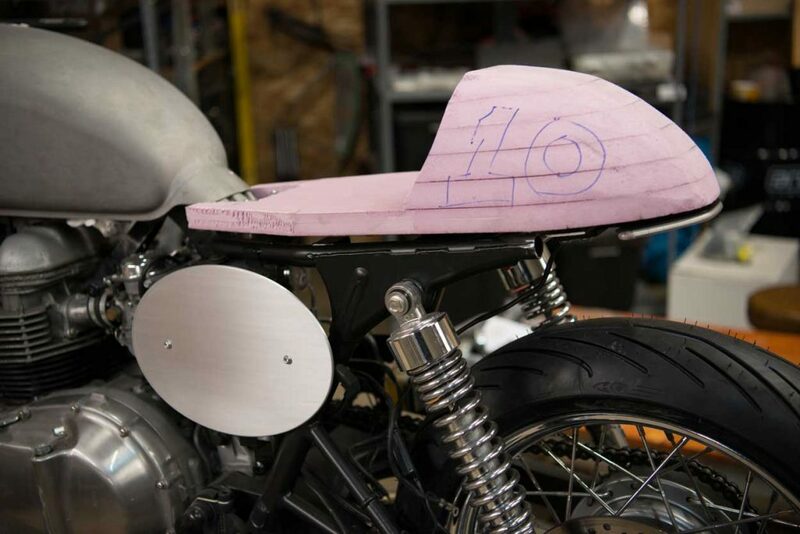 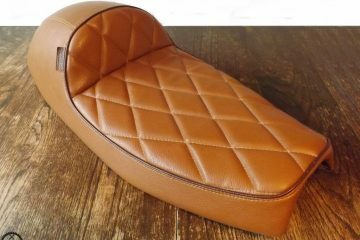 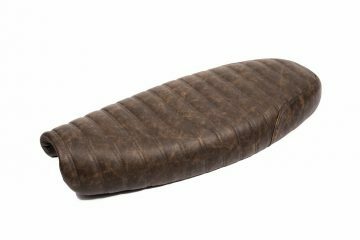 The old seat was ditched and a new cowl was sculpted in foam, before being hand crafted in steel, in which can be kept a few tools, gloves or perhaps even a bottle of Rebel Yell Bourbon, all accessed by a hatch fabricated in brass – this was then upholstered by Dave Purney. 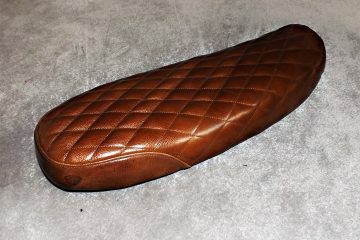 Other parts from the Analog Motorcycles catalogue includes their side cover kit, given an ‘extra special custom treatment’’ before final fit. 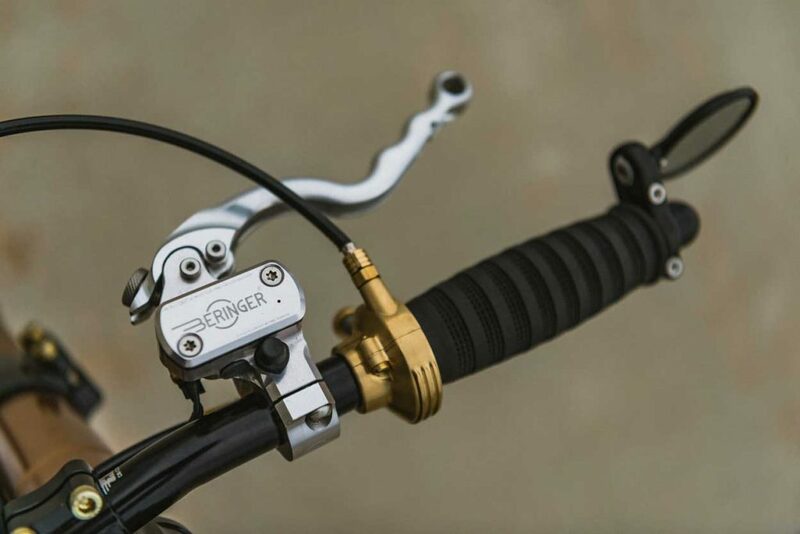 Tony wanted the El Matador 2 frame to have a Black and Brass theme, and experimented with a mix of real and powder coated brass, on pretty much every removable part, with the results being “various hues of brass throughout the bike, giving a very organic and raw feel” . 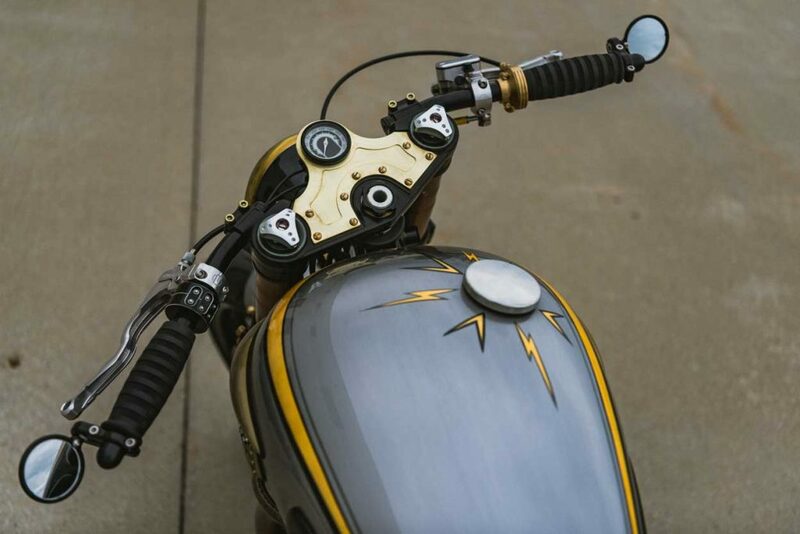 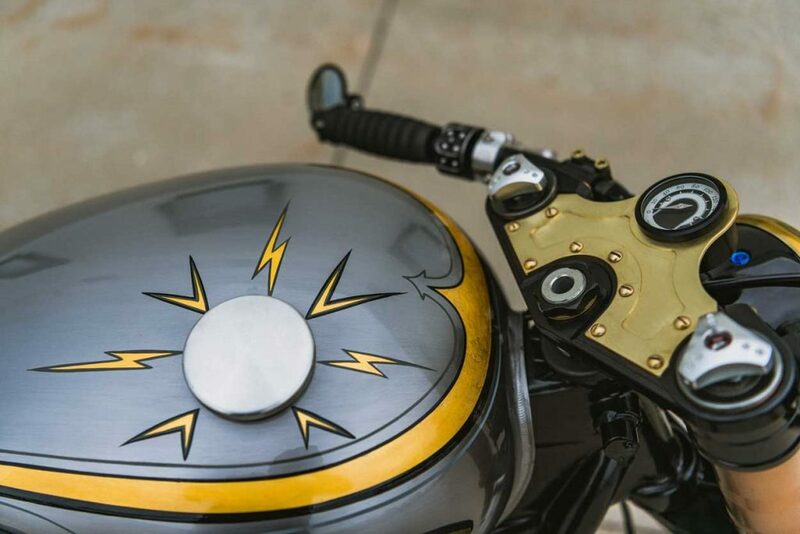 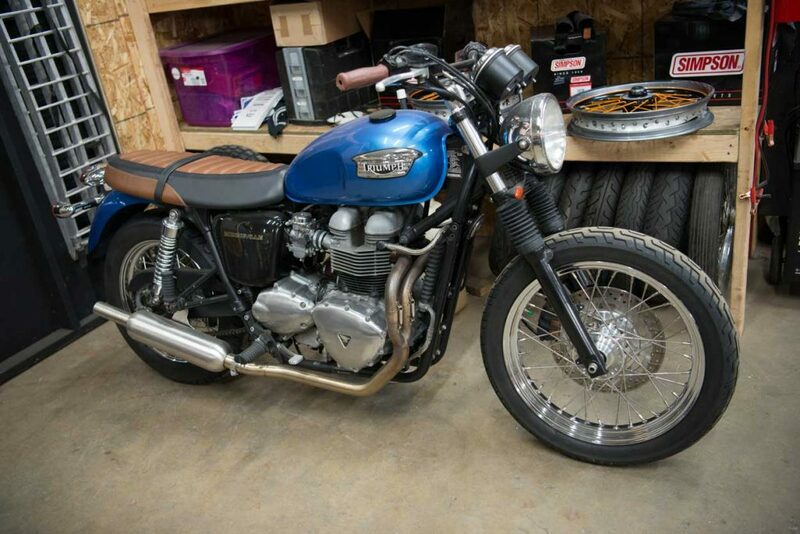 The tank, seat-cowl, side covers and the hand crafted steel front mudguard were sanded to a brushed scotch bright finish and clear coated by Kiel’s Kustoms. 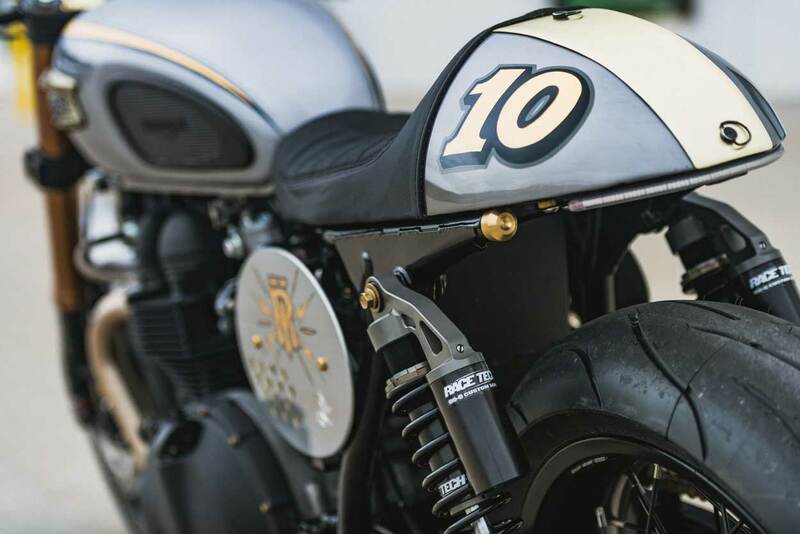 Tim Brando’s forty years experience was drafted in to pin-stripe the tank, seat hump and side covers, with the Rebel Yell logo and number “10” being added to represent Rebel Yell single barrel ten year old Kentucky Bourbon. 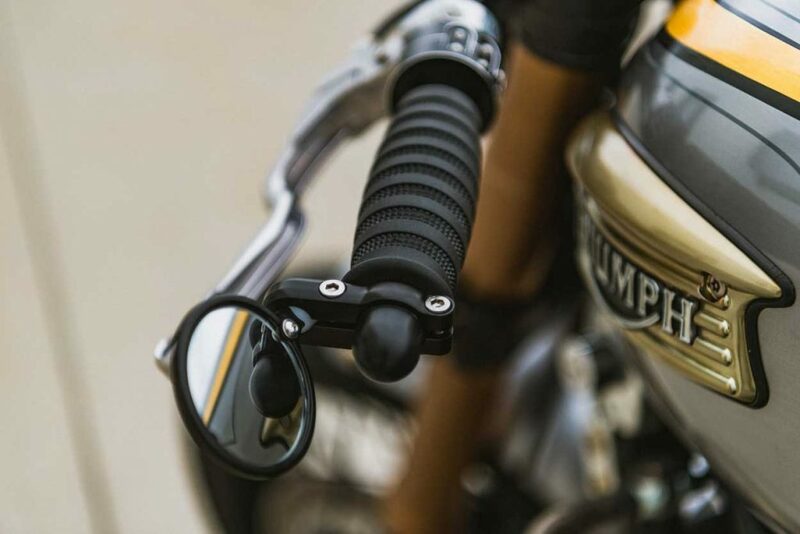 While the cosmetic changes were made to the Triumph’s tin-ware, the Bonneville itself was undergoing a few performance and handling upgrades, with the front end being swopped for a set of USD forks from the Suzuki GSX-R, fitted with Traxxion Dynamics forks adjusters. 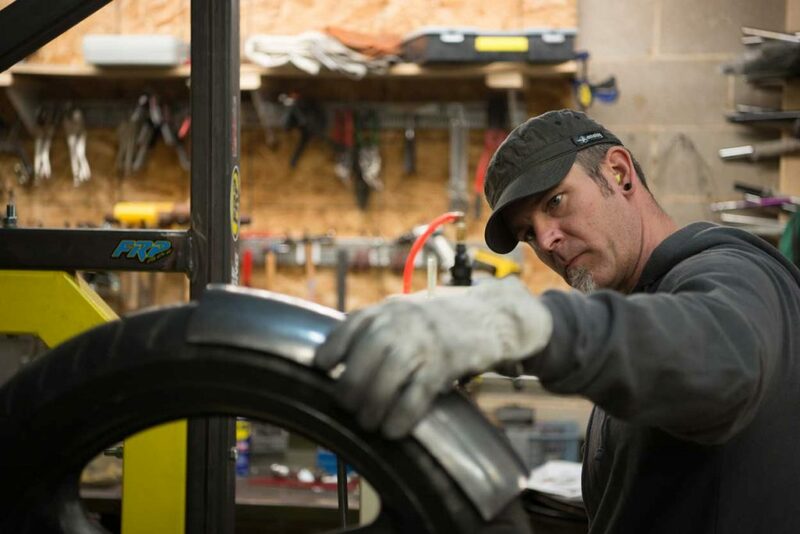 The modified stock front hub and rotor were retained, as was the rear hub, both re-laced to new set of 17” Sun rims, using Buchanan spokes, and shod with a set of Michelin’s Pilot Powers tyres. 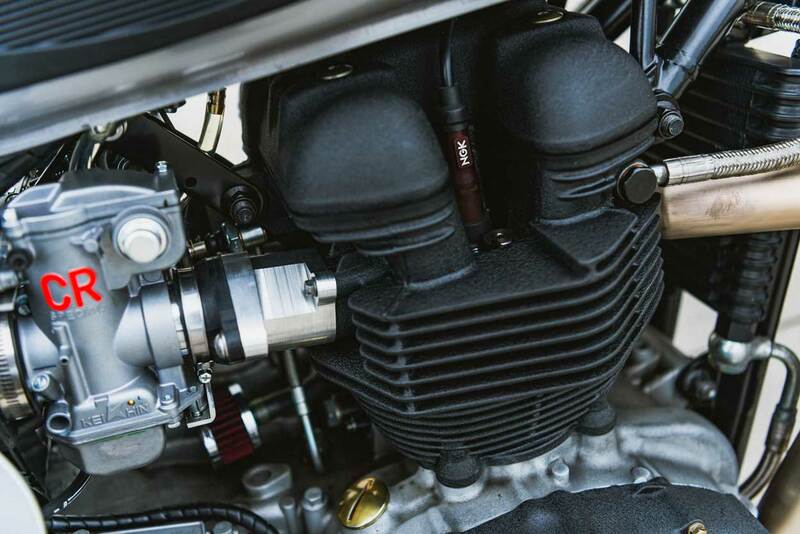 The front 4-pot calliper from the GSX-R was re-fitted and paired with a set of Beringer levers. 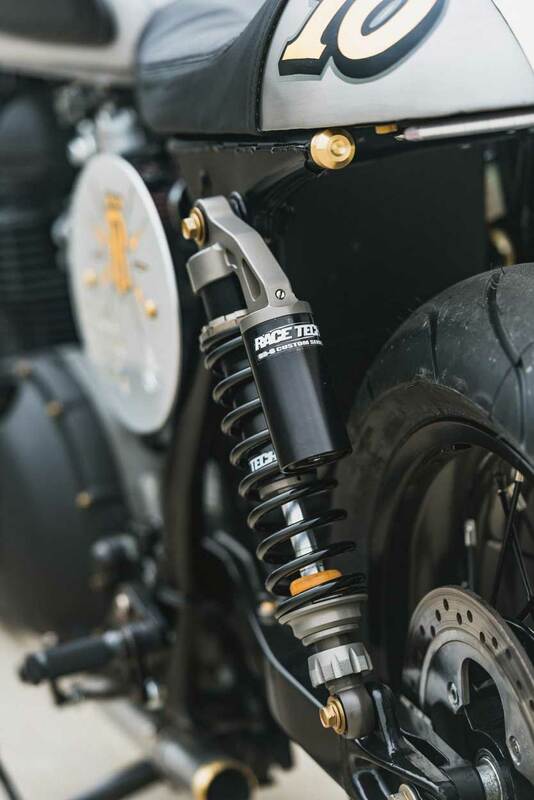 With the front end getting so much attention the Triumph needed a rear end stance change, achieved by fitting a set of custom Race Tech G3-S shocks. 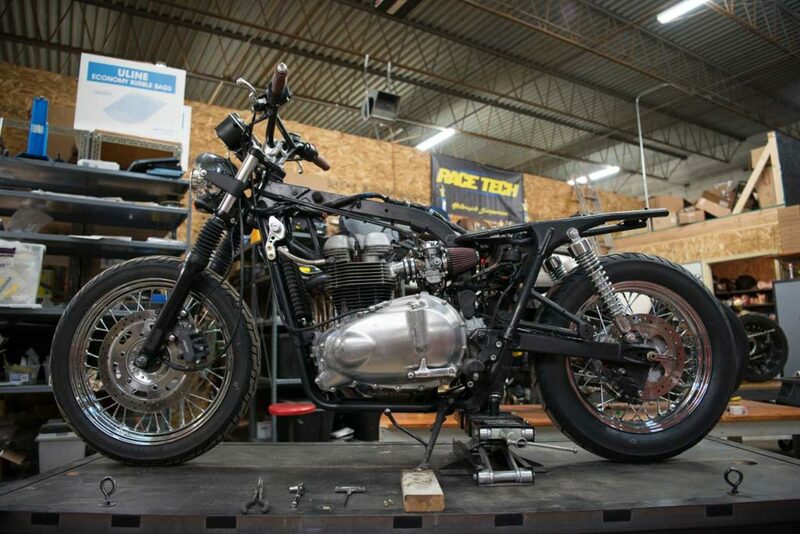 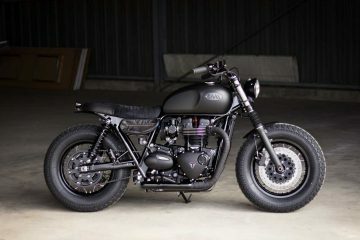 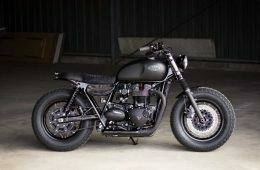 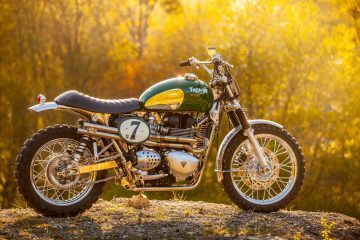 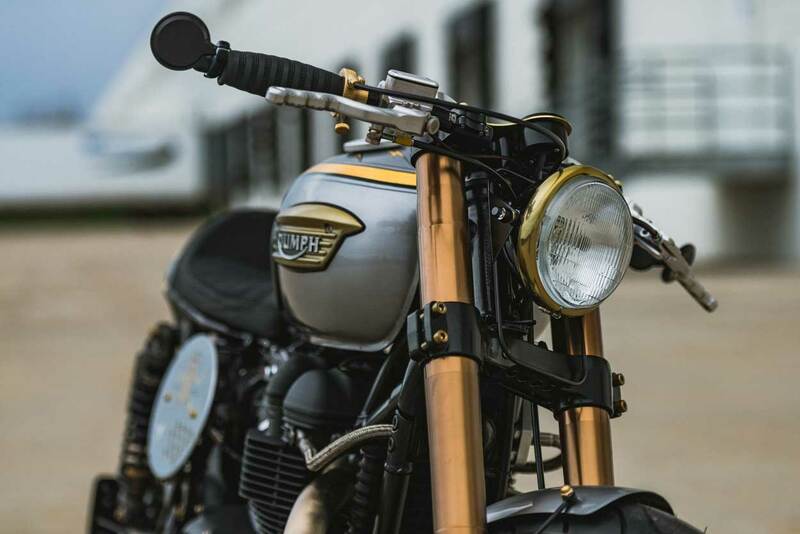 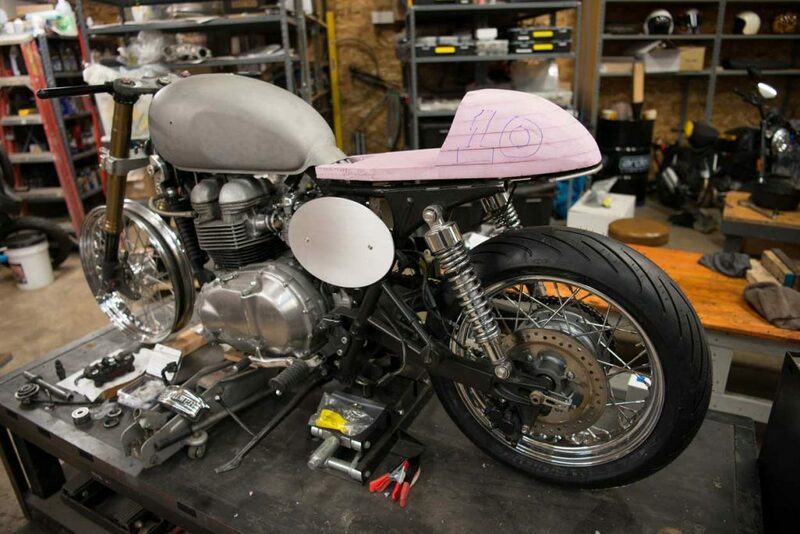 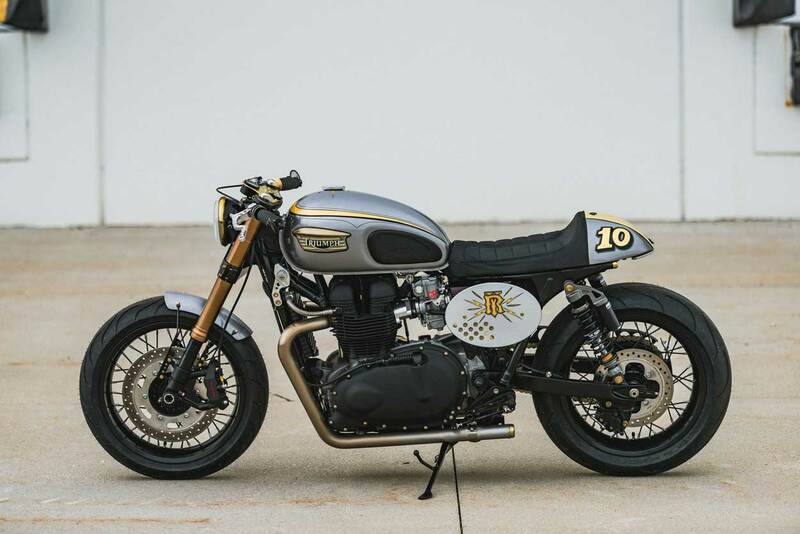 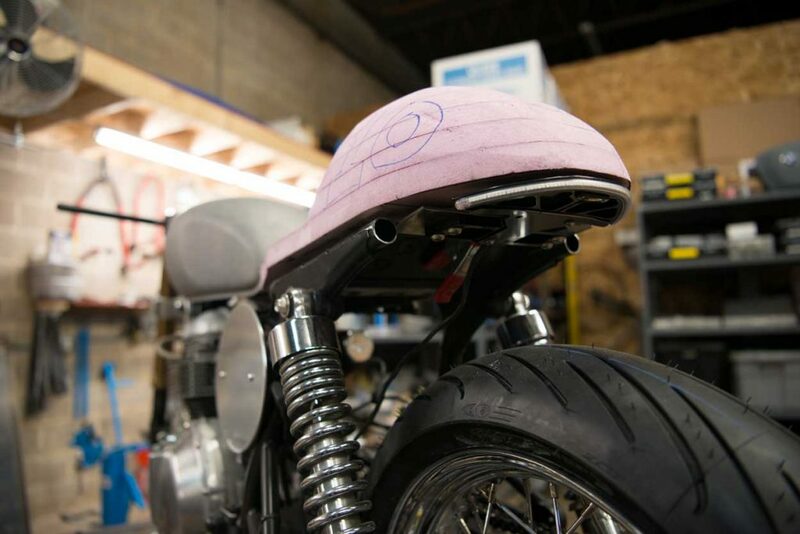 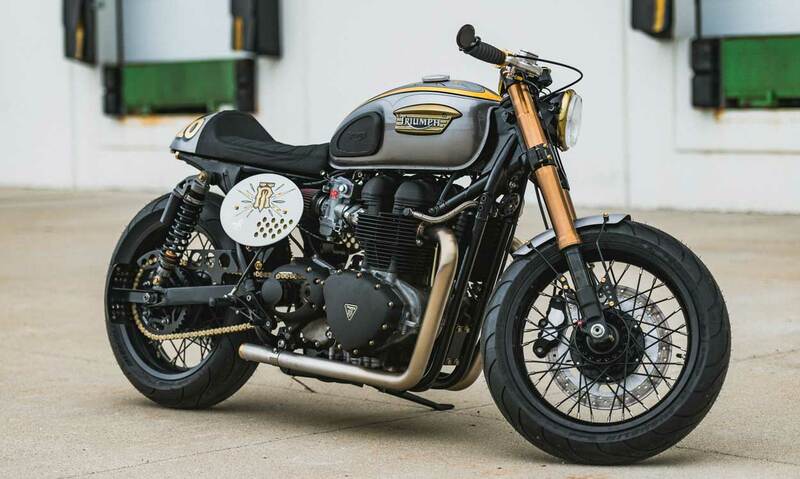 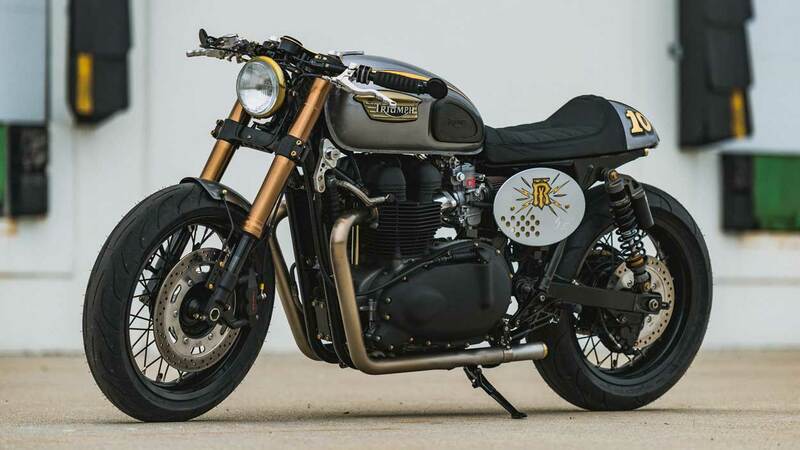 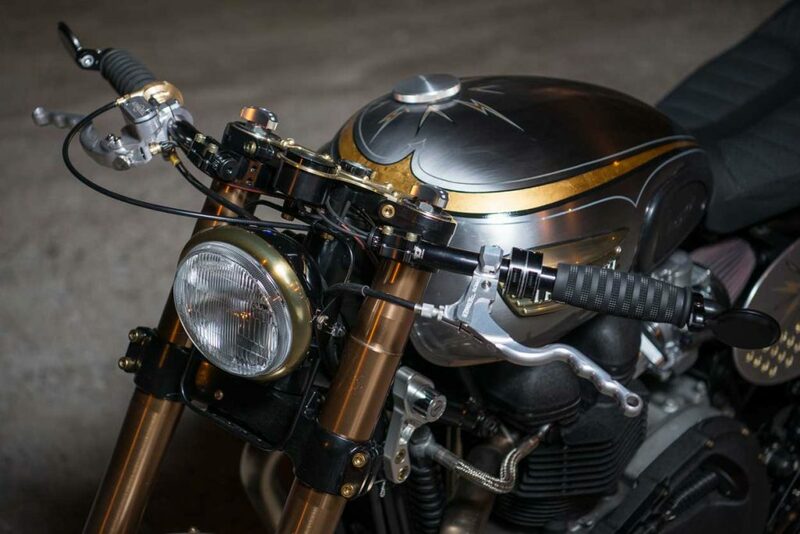 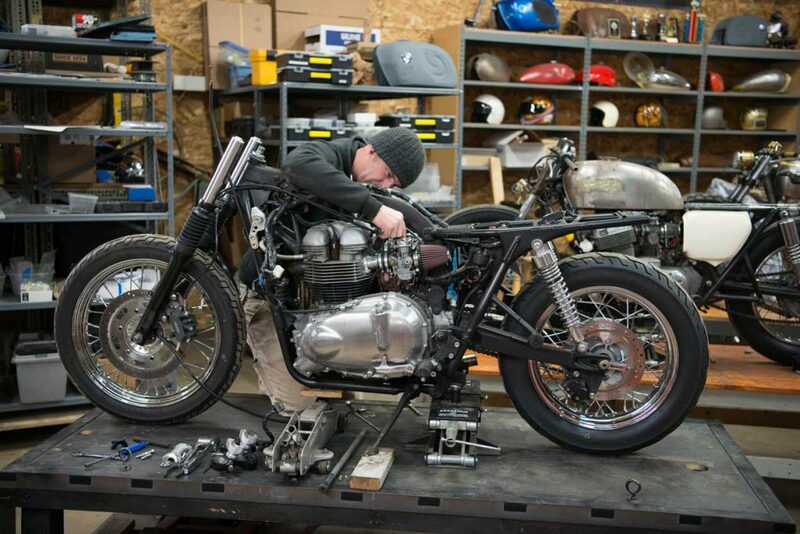 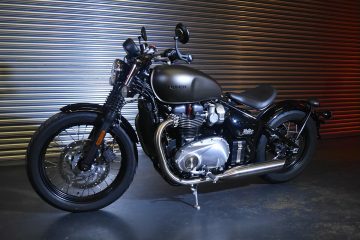 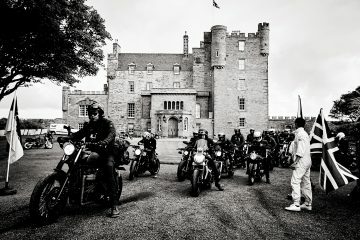 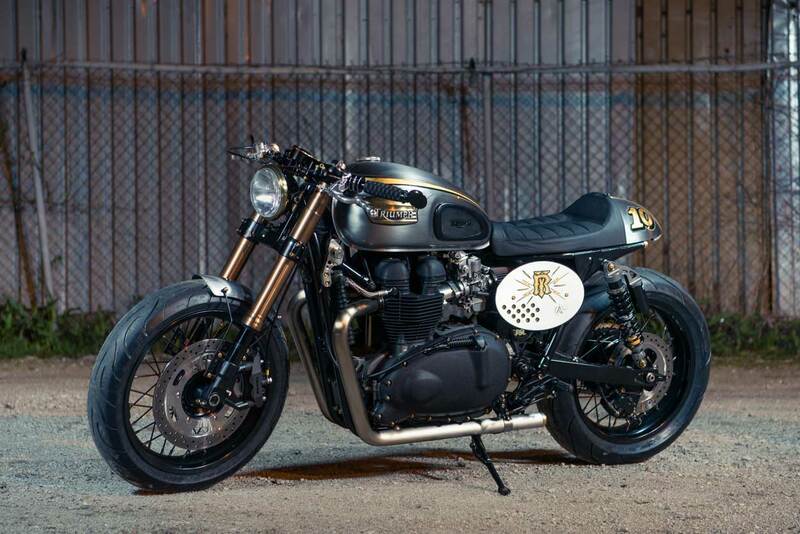 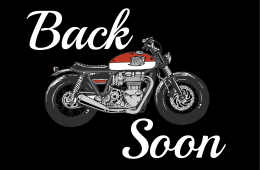 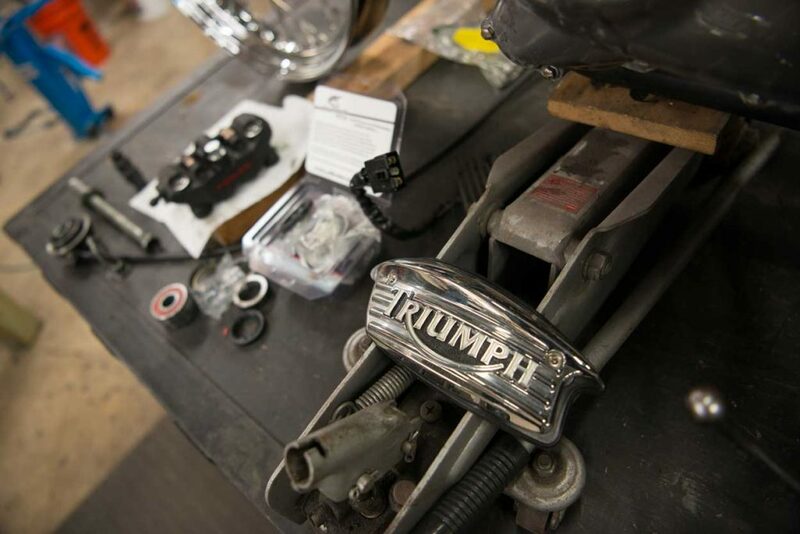 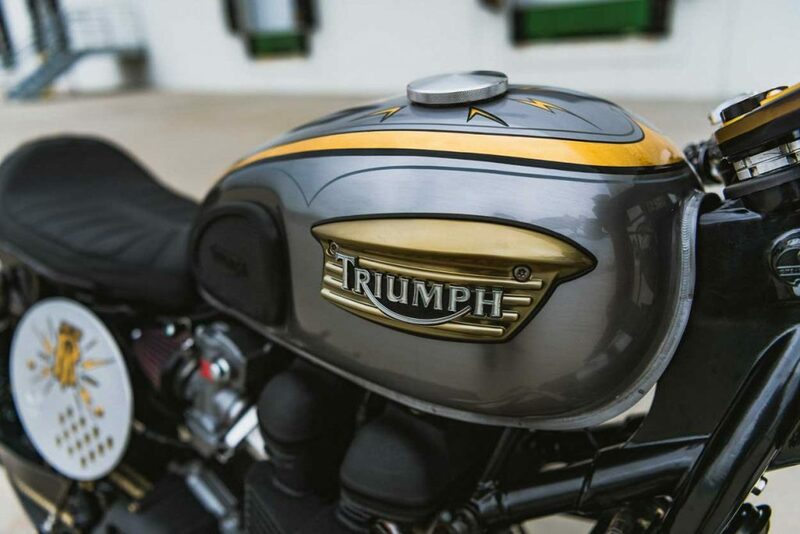 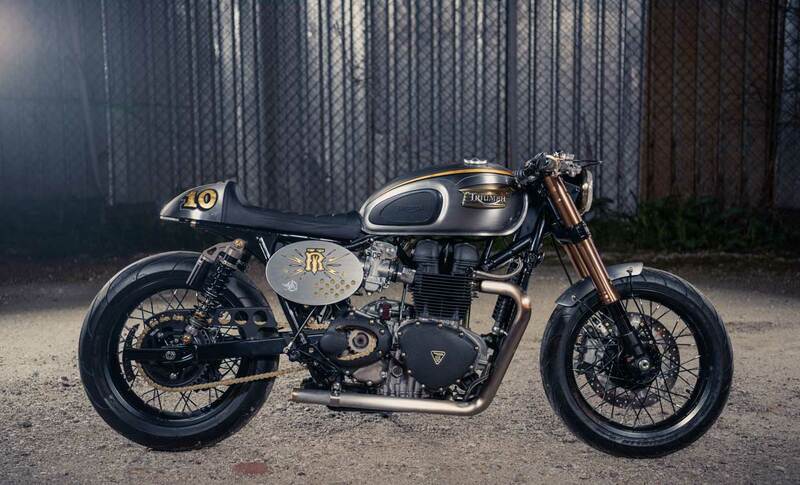 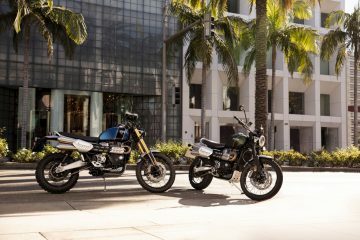 British Customs carry a range of Analog parts, so it was BC who in-turn supplied a range of their own accessories for the build including; their chain and billet clutch guards, lifter arm cover, tank knee pads and Drag Pipe exhaust system. 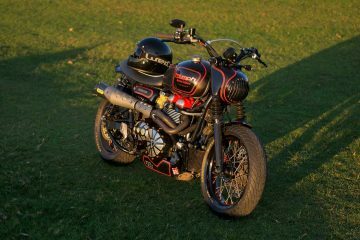 The 865cc engine was then torn down and wrinkle powder coated black, with the stock sprocket cover being milled out to match the one on the 650cc Triumph Bobber. 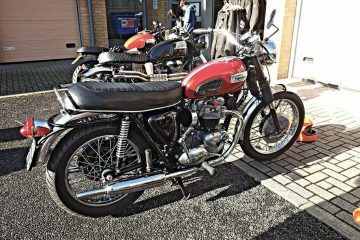 While on the phone to British Customs, Tony also ordered a set of Keihin 35mm CR carbs with K&N filters, and a performance cam swop. 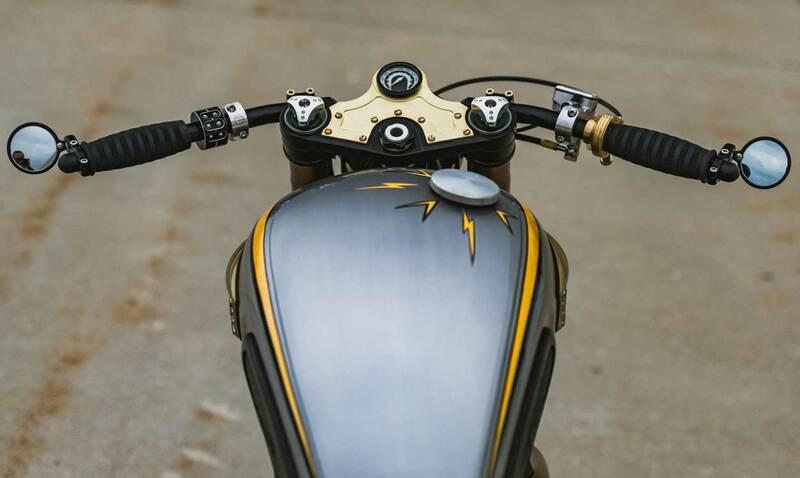 Up front is a Bates style headlight with brass accents, fitted to the Triumph via custom brackets, Up top is a custom CNC’d brass speedo mount, cut by Free Form Design and houses a Motogadget Tiny speedo. 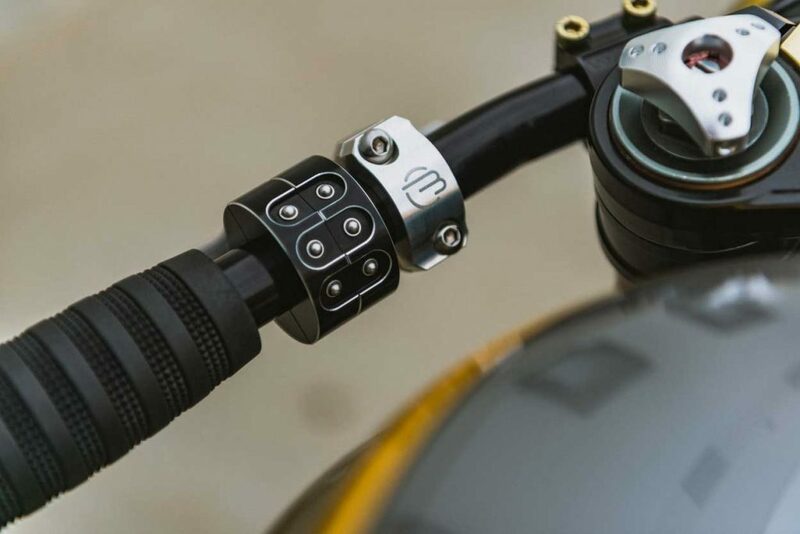 The bars are the Speedy Moto Omini clip-ons, fitted with CRG bar end mirrors and two Motogadget m-Switch minis sitting side by side, and connected to the Motogadget the m-Unit. 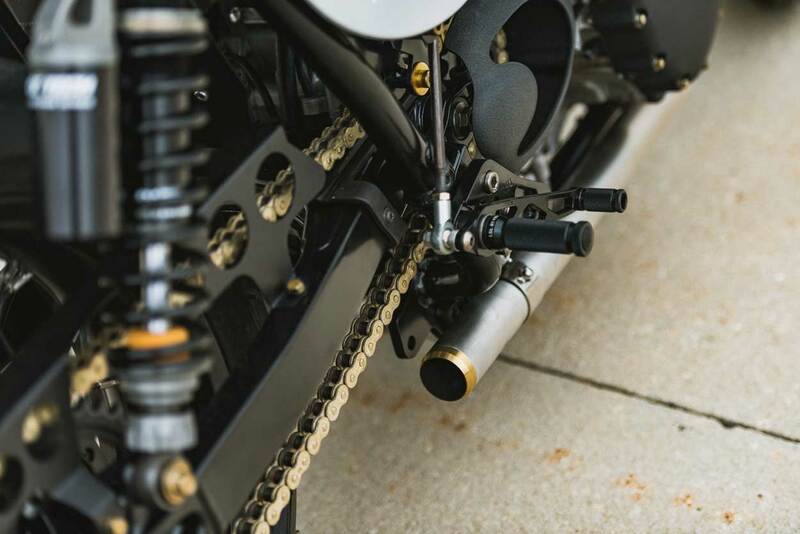 The knurled black rubber grips, Brass engine tag, and Kustom Tech brass throttle assembly are all from Low Brow Customs.